Join us in Midtown or the Financial District to ring in the new year! 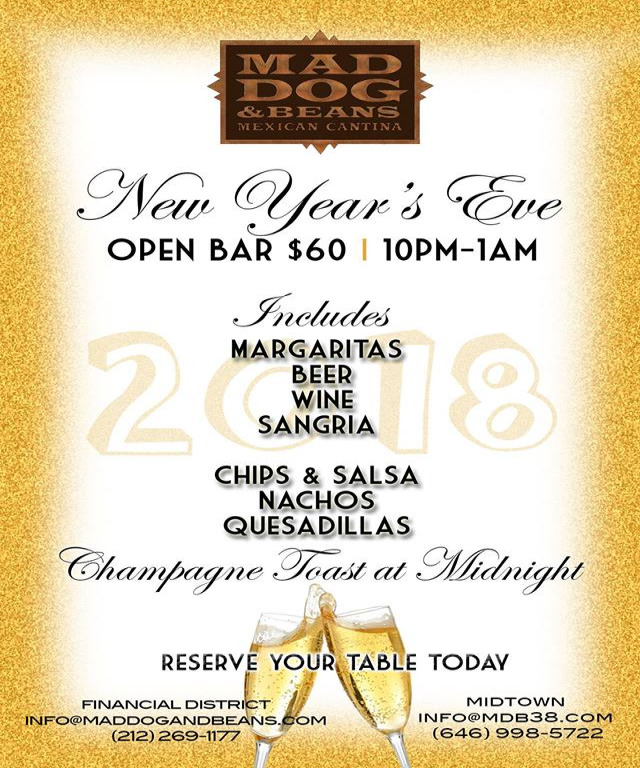 Start 2018 off with some Mad Dog Margaritas! Our $60 Open Bar Package includes Margaritas, Beer, Wine, and Sangria! In addition, enjoy unlimited quesadillas, nachos, and chips and salsa.